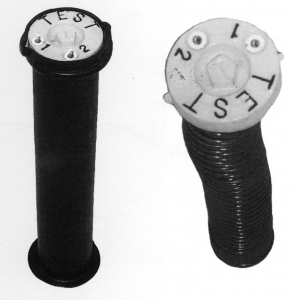 The plastic and cast iron cathodic protection test stations manufactured by Bingham and Taylor offer a wide range of sizes and styles to fit your specific application. Product is available in diameters ranging from 2 1/2″ through 12″. Various models are available in high impact wear resistant ABS plastic with light weight or heavy duty cast iron rims. Test station lids are available in plastic or cast iron. Our diverse selection of lids have test points at the surface or underneath lid with attached terminal test boards. Terminal test boards are made to our customers specifications. For the most complete line of in-ground cathodic protection test stations available please contact the reliable and friendly sales team at Bingham and Taylor. Flexibility in design, superior quality, and reliable service will make Bingham and Taylor your cathodic protection test station supplier.